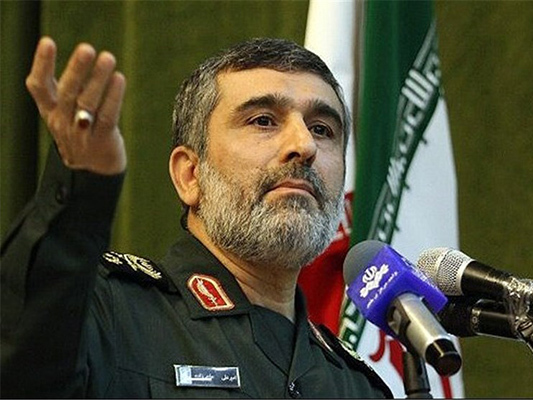 Commander of the Islamic Revolution Guards Corps Aerospace Force Brigadier General Amir Ali Hajizadeh condemned the recent massacre of civilians in the Yemeni capital of Sana’a by the Saudi regime and said the US and Israeli regimes were behind the attack. “Evidence shows that this crime has been committed under the operational control of the US and the Zionist regime (Israel),” Brigadier General Hajizadeh said on Monday. The commander added that the continuous presence of US spy drones and aircraft, like MQ-1, RQ-4 and MQ-9, frequent flights of US F-16, F15, F-22 and fighter jets, and US air support for Saudi Arabia prove that the military operation against the oppressed Muslim people of Yemen has been carried out by the US under the flag of Saudi Arabia. He further said the presence of Israeli spy planes and intelligence cooperation between the Saudis and Zionists indicate that an “evil plot” has been hatched against the Yemeni nation. Over 140 people were killed and over 525 wounded on Saturday, when the Saudi airstrike hit a community hall in southern Sana’a, where a funeral for the father of Interior Minister Jalal al-Roweishan was being held. The death toll was one of the largest in a single incident since March 2015, when the Riyadh regime began its deadly campaign to crush the Houthis and their allies and restore power to resigned president, Abd Rabbuh Mansur Hadi. Sana’a Mayor Abdel Qader Hilal was reported to be among the victims of Saturday’s assault.